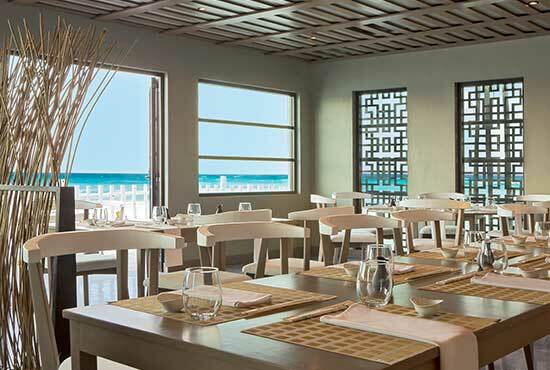 OLEO Cancun Playa has prepared an exquisite culinary journey through the flavors of Mediterranean and Mexican cuisine, as well as the chef’s homemade specialties in the Japanese restaurant. 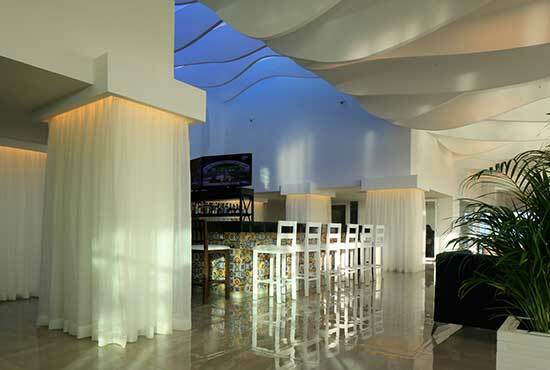 The four restaurants and two bars offer a cosmopolitan combination, with a selection of dishes specially designed to create a unique and avant-garde culinary and sensorial experience. Exquisite dishes ready to stimulate the senses. 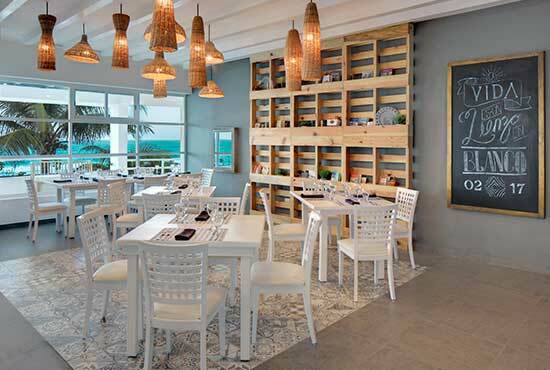 International cuisine offering unlimited options from traditional Mexican tacos to pasta and wine. 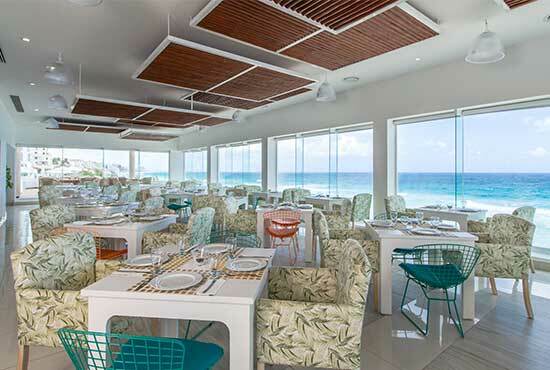 A splendid beachfront restaurant to enjoy an appetizing meal. A restaurant with a exceptional ocean front view, offering a veritable culinary experience with delicious dishes from the Mediterranean. Open at night, with seafood, lamb and duck recipes. The art of Japanese cuisine submerges even the most demanding palate into a festival of flavors, accompanied by the visual beauty of the Signature Chef’s artisanal creations. Overlooking the sea, in the pool area. This restaurant offers casual comfort food and lighter menu items including tacos, ceviches, burgers, and other snacks. Ideal for foodies. A cozy spot where you can enjoy the stunning Caribbean sea view. 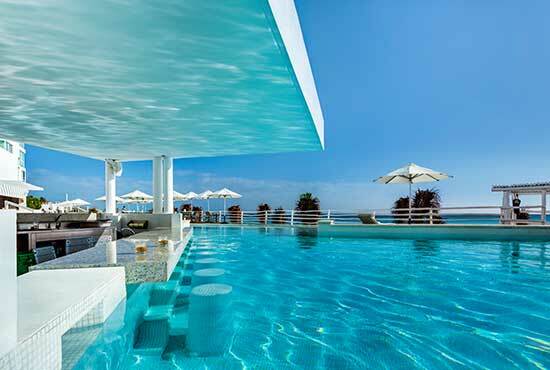 Refreshing cocktails, premium beverages, wine and beer served with a personalized attention in the main pool area. With a chic atmosphere, decorated with pieces of art, offering refreshing cocktails created using contemporary mixology trends. 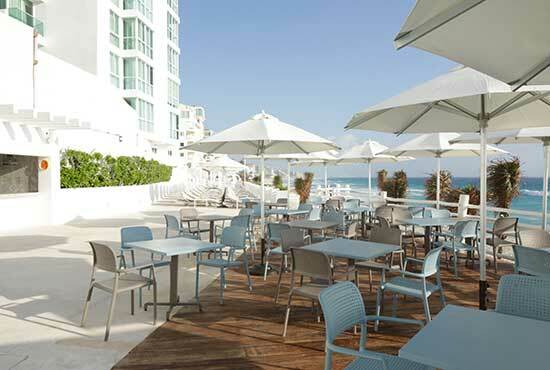 Boulevard Kukulcán KM 19.5, Zona Hotelera, Cancún, Mexico, 77500.